I have never pulled off an all nighter because it is extremely unhealthy for you. Plus on top of that you will probably not remember any of the material that you studied. Just stay ahead on your school work… its not hard. I relate to this on a personal level, as I’ve been pulling all nighters all week (if you can’t tell, I’m a procrastinator). I agree completely with everything you said – the lack of sleep, even if you were using it to study, definitely makes it harder to retain information and remember certain things. It also definitely makes the day basically miserable, since all you’re doing is thinking about how badly you want to sleep – another way in how it distracts you in class. Very interesting post and i hope more people get to see it, to understand how harmful these all nighters really are. People pulling an all nighter I believe is something almost every college student can relate to. Were busy, stressed, and obviously in college so we think we can just get away with staying up all night. For someone who needs to nap everyday to function even if getting 12 hours of sleep I find it pretty impressive that people could pull staying up for that long. I loved the fact how you incorporated the correlation between sleep and performance afterwards because sleep definitely reflects on how you perform the next day. This is a relatable post to most college students. Though I have not pulled a complete “all-nighter” (I’ve allowed myself an hour or two of sleep), I can see through your data the correlation between amount of sleep and performance. This is one of those things that procrastinators everywhere know is bad for you but will probably continue to do anyway. “All-nighters” are not a necessary part of college and can be eliminated in it’s entirety simply by better time management. Every college student can relate to this post. I really like how you used examples of why people would want to stay up all night. You used good research experiments as well! I like how you correlated the data. The only thing I would do is create citations or add a hyperlink in the post. Otherwise, it was very good. This is a very relatable study seeing how in the last 48 hours, I have gotten a total of 4 hours of sleep (4 hours Wednesday night and an all-nighter last night). My purpose for pulling an all-nighter was not to study for a test though. It was to finish homework assignments before family coming to visit this weekend. An interesting study would be how much the quality of work decreases due to lack of sleep. 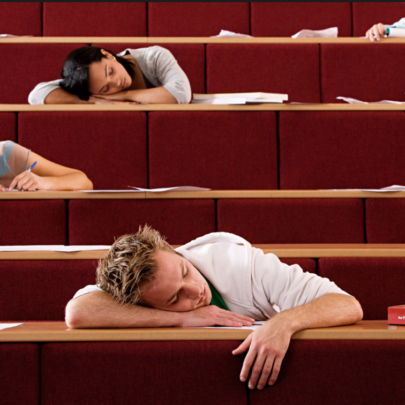 You would give both groups the same amount of time to complete a task, but one group had more time and was able to sleep. The other group had to stay up drinking coffee and energy drinks to complete their task. Unfortunately, I would fall into the group that did all their work on coffee and energy drinks. I really enjoyed reading your post, which i was drawn to because I also posted a blog discussing whether it is more beneficial to pull an all-nighter or to get some quality sleep and study early in the morning prior to the exam. After doing my research, i concur that an all-night study session is absolutely not part of the recipe for success on an exam or assignment. While you may think that staying up all night is necessary to do well, it’s been proven that studying through the night makes you much less likely to retain the information you’re trying to study and much less likely to get a good score on your test. This blog was extremely relevant to my life the last few weeks. It has been tough getting very little sleep during probably one of the busiest times of the semester. As someone who has pulled a couple all-nighters already, it definitely is not worth it, but is necessary sometimes just to get work done. This article from the Huffington Post had some interesting takes on all-nighters: http://www.huffingtonpost.com/2013/09/30/all-nighter-risks-science_n_3975789.html. Nice job with this blog on a very relatable topic.